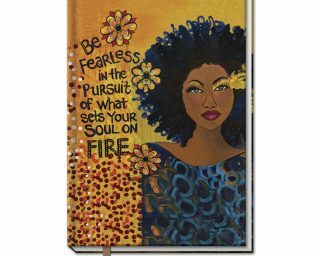 Our unique Shades of Color African American Journals are a unique Black Gift item available in Large & Small! Large Journals come in an attractive spiral bound format with 140 lined pages to store memories and daily affirmations. Each page comes with an inspirational quote! Small Journals are perfect bound with 144 lines pages. Both sizes include a pocket for storage, ribbon bookmark and elastic closure. Inspirational cover art work by Black Artists Annie Lee, Kerream Jones and Cidne Wallace. 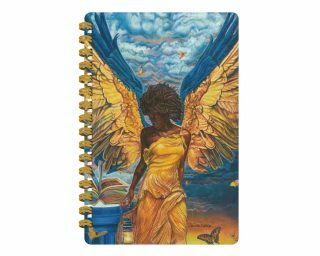 African American Gift Journals make for a perfect gift befitting all occasions whether it be for students, friends, colleagues or a birthday bash!